forms updated in line with substituted forms as introduced by amending regulations. Powers of Attorney Commentary- Author update regarding witnessing execution by the attorney. Wills Commentary – Author update regarding superannuation as part of the estate. Case law – Succession has been enhanced with addition of discussion on Badenach v Calvert re duty of care to intended and disappointed beneficiaries. Added to commentary – New content re Interstate powers of attorney and Interstate instruments. Commentary updated to include a discussion of priority notices which were introduced in Victoria in late 2016. Additions to the commentary to discuss caveats and special conditions concerning the conduct of auctions. Commentary update regarding Land Tax Regulations 2015 and notices of dispossession of land no longer required by SRO. Commentary added discussing valid clearance certificates for foreign residents. Clause added on payment of fees when purchaser not proceeding. Purchase of Real Property – major restructure to ensure commentary follows the natural progression of a typical purchase. New precedent added – General advice to purchasers. As part of the shift from paper-based conveyancing to electronic conveyancing the Land Titles Office will introduce Priority Notices in December 2016. This facility is viewed by the LTO as an important tool in the prevention of fraud in the electronic environment and is supported by s 91C Transfer of Land Act. Traditionally the paper title has been a bulwark against fraud, with a person dealing with the title having an expectation that the paper duplicate would be produced at settlement. However, removal of the paper title in the electronic environment, hastened by the bulk conversion of over 2 million titles held by the Big Four banks on the weekend of 22 October 2016, means that the ‘protection’ provided by a paper title is diminishing. Priority Notices are intended by the Registrar to constitute a ‘unique baton’ to provide protection during the settlement period. It is intended that a person dealing with the registered proprietor of land will lodge a Priority Notice to foreshadow that a dealing will be lodged at a future time and will thereby ‘protect’ that dealing. The Priority Notice can only be lodged electronically (presently using PEXA) whether the foreshadowed transaction will be conducted in paper or electronically. Priority Notices resemble the familiar caveat in many ways. Indeed, there is little difference between the two and practitioners may be hard pressed to decide which of the two to lodge. A person lodging an instrument, such as a Transfer of Land, within 60 days of lodging a Priority Notice foreshadowing that Transfer is therefore entitled to expect that the Transfer will be registered in priority to any other dealing lodged during that 60 day period. a subsequent competing dealing lodged in the 60 day period will be registered immediately the Priority Notice expires. From the Registrar’s point of view, the Priority Notice regime is an improvement on Caveats as the Registrar is NOT obliged to give notice to the registered proprietor of lodgement of a Priority Notice. There is no doubt that the obligation to give notice (often to an old address) imposes a considerable administrative burden on the Registrar, as does the need to play a role in the removal of caveats by disgruntled registered proprietors. The Priority Notice regime involves much less participation by the Registrar and refers all disputes immediately to the court, with the potential to make orders for removal and compensation. Presumably, as the Priority Notice has a limited life span of 60 days, disputes may be resolved by the effluxion of time, although there will no doubt be circumstances where a registered proprietor may need to seek the assistance of the court. It is this latter point that will have practitioners thinking. 60 day settlements are common, as are 90 day settlements. Both can unexpectedly blow out and so lodging a Priority Notice when entering into a 60 or 90 day contract may find the Priority Notice expiring shortly, or even well, before final settlement leaving the Transfer unprotected. A protocol of lodging 30 days prior to the anticipated settlement date may overcome this problem, but leaves the prior contractual period unprotected. The small price differential between lodging a Caveat or a Priority Notice will not affect this decision. 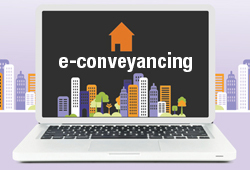 Like many of the changes flowing from electronic conveyancing, we will just have to see how they work out at the coalface.